Last week both systems Microsoft Windows Vivid Toasting Technology (VTT) 2008 Starter Edition and Heatu Linux 9.06 (Dainty Toast) were released for modern toasters. Yesterday Linux Screw has an opportunity to test both and the results were demonstrated at the Annual Bread Valley Conference at Jan 17 2008 in Texas, USA. Reactions were mixed as Heatu Linux 9.06 and Windows VTT went head-to-head. The first product of its new Microsoft Kitchen(tm) brand, Windows VTT is designed to make bread toasting more user-friendly. A Microsoft press release started, “The complications and hassle associated with the production of grilled bread products that made them inaccessible to the end user have been removed with the release of Windows VTT. Just plug in a slice and play”. Windows VTT 2008 natively contains drivers for toasters that are based on many heat-generating processors like latest AMToast and new Core Toast Duo. 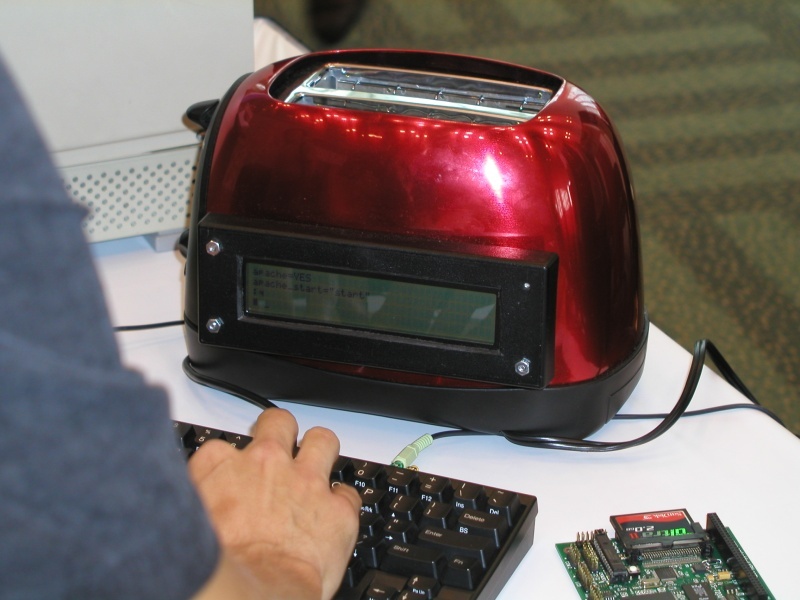 Other toasters may be used with special drivers included into upcoming Toasting Plus! pack. Microsoft recommends that VTT 2007 only be used with MS SlicedBread(tm). A Microsoft spokesman said, “VTT still contains a few issues that make it incompatible with other brands. We should have a service pack to resolve these problems within six months”. The VTT demonstrations faced several setbacks. One of the toasters were actually exploded, causing the fire alarms to go off. In addition, several toasters produced bread that was burned on one side but cold on the other. Finally, several times VTT crashed while toasting and had to be rebooted. 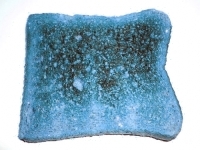 Every time that happened the toaster hung up or toasters has typical blue color. Heatu 9.06 is completely different than VTT. 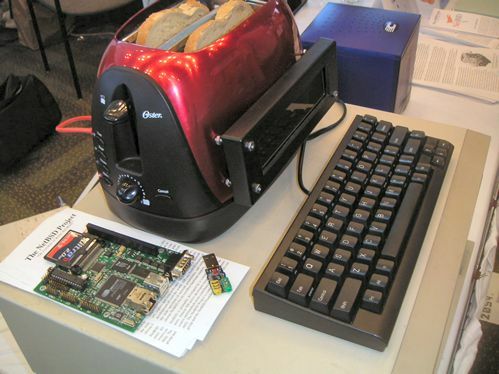 Whereas VTT comes pre-installed on many portable toasters (laptoasts also), Heantu must be downloaded from the heatu.com or purchased on CD/DVD and then installed on the toaster. Installation, however, is fairly easy, and Heatu works on a variety of machines and configurations. A few proprietary toasters are not supported (such as the I2O-Toast-a-Matic) because the specifications are still not available. The greatest feature of Dainty Toast (Heatu 9.06) is its multi-user format. Each user can customize what kind of toast they want, and Heatu will retain the settings for future sessions. This, however, requires each user to log in. On the plus side, Heatu can produce toast for several users at once. Linux Screw team was impressed with the Dainty Toast testing results. The toasters didn’t crash, didn’t explode, and always produced perfectly toasted bread. However, some users were concerned about easy-to-use of Linux command line. Onlookers were impressed after XToast GUI System was shown, one man even lost consciousness when Toastiz window manager effects were demonstrated. 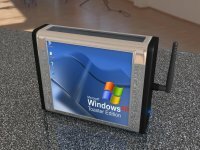 I tend not to drop a comment, however I browsed a ton of remarks on this page Fun: Windows vs. Linux for toasters - LinuxScrew: Linux Blog. I do have 2 questions for you if it's okay. Is it only me or do a few of the remarks come across like they are left by brain dead folks? :-P And, if you are writing at additional online social sites, I'd like to follow anything fresh you have to post. Could you make a list of the complete urls of all your social sites like your twitter feed, Facebook page or linkedin profile?